Teasing us over the last two years with the Raven Sings The Blues EP and the Fuzzy Timelines 7", Brooklyn-based five-piece Gross Relations have finally released their excellent self-titled debut LP via Old Flame Records. 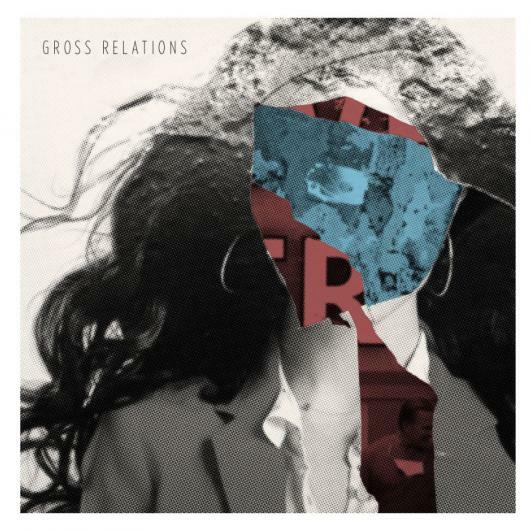 Throughout the 10 song album Gross Relations manages to connect the dots between lo-fi and full-on garage pop in all of it's distorted glory. With fuzzy guitars, layered synthesizers, crooning vocals, and ridiculously infectious hooks the entire album will have you shuffling your feet from beginning to end. Start with "Discovery Zone" and "Cut The Final Scene", watch the video for "Fuzzy Timelines" and then listen to the whole album around 100 times in a row like I did. Fuzzy Timelines from "Fuzzy Timelines/You Don't Know Me 7"